Naming has always been an integral part of Chinese culture. A name can encapsulate a lot of good wishes and affection. 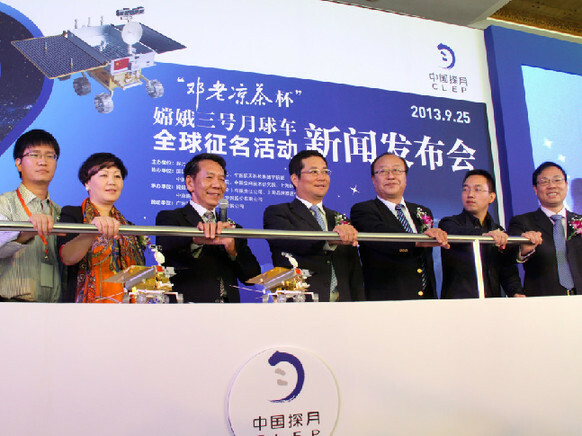 China's Lunar Exploration and Space Program Center launched a global naming contest for its unmanned Chang'e 3 lunar rover on Sept. 25 in Beijing. The contest will close in early November. The Chang'e 3 lunar rover is part of the Chang'e 3 spacecraft. The launch will mark the first time China has landed a spacecraft on another celestial body. "The lunar rover is more than a rover," said Zhao Xiaojin, head of the aerospace department at the China Aerospace Science and Technology Corporation. "It is an ambassador to the moon, carrying the hope of the Asian people. It will go down in history, so we must give it a name that reflects the thoughts of the whole nation." There are three phases to the contest. From Sept. 25 to Oct. 25, contestants can submit names to Xinhua.com and qq.com. A committee will be organized to select the top 10 names. From Oct. 26 to Oct. 31, the top three names will be decided by people voting for their favorite name online. In early November, there will be a ceremony to officially name the lunar rover and the top 10 names will be given prizes. According to Li Benzheng, deputy director of China's Lunar Exploration Program, the aim of the activity is to display China's achievements in lunar and space exploration, raise the profile of the missions, and increase the people's interest in science and technology, particularly the younger generation, and inspire the patriotic enthusiasm of Chinese people around the world. The Chang'e 3 mission, scheduled to be launched in early December this year, is the second phase of China's lunar program. It follows the successes of the Chang'e 1 and Chang'e 2 missions, which included plotting a high-resolution lunar map. The program includes orbital reconnaissance, a soft-landing and bringing samples back to Earth. 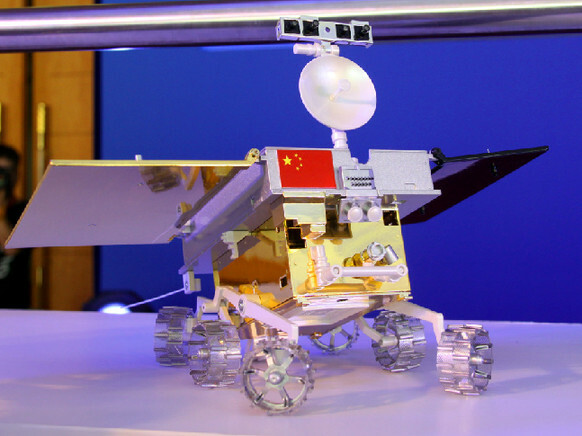 China launched a global naming contest for the unmanned Chang'e 3 lunar rover on Sept. 25.